Service Oriented Architectures offers incredible potential value to the business that is able to reuse and repurpose key business logic and business rules. By creating business services, companies can institute best practices throughout the organization. However, this approach has to be done carefully. Business Services need to be managed and governed based on corporate rules as well as governmental rules and regulations. 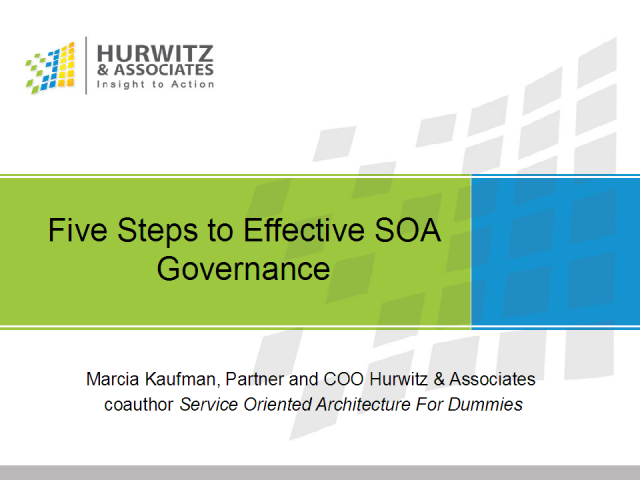 Because of the shared services model of SOA the potential for propagating the wrong business rule broadly can be devastating to the business. This session will provide an overview of best business practices for governing a Service Oriented Architecture approach to computing.